Though nobody intended it, closing your eyes and imagining a future world was an apt metaphor for nearly all of Apple’s announcements. None of these new services, save Apple News Plus, is available yet. That’s not how Apple usually does things. It’s famous for announcing a new product and then shipping it right away — or at least within the week. So I have an honest question: why hold the event this week, before everything was ready? I have a few ideas. One is to simply build hype for the products it’ll release later this year. But if that’s the goal, I’m not sure how to judge success yet. (Though I will say not releasing real previews or trailers of said shows is not a great start.) The best part of the keynote was absolutely the section on Apple Arcade, where we saw much more about the games we could expect and understood how it would work and why we might want it — but again, no pricing. Another is to give us details on these long-rumored projects. But it didn’t tell us the most important detail: pricing. Apple was troublingly quiet on the subject of how much Apple TV Plus would cost. 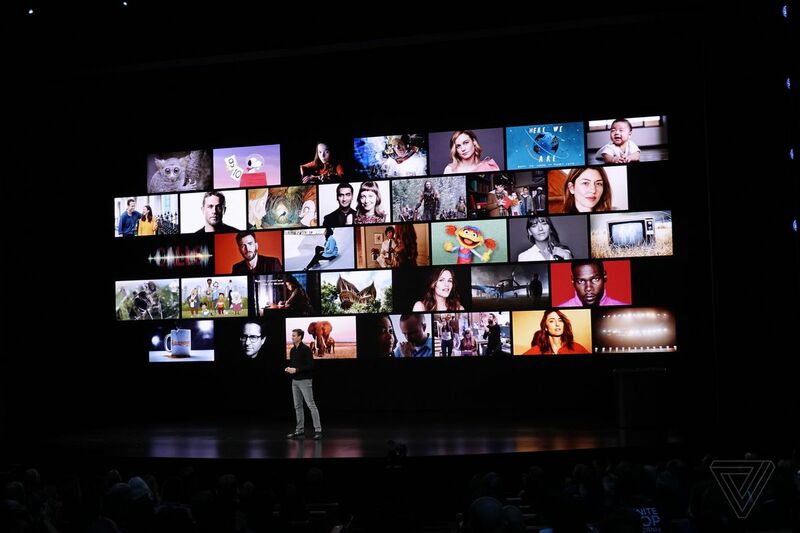 It was even quieter on the subject of whether it would offer bundling discounts for the half-dozen-odd Apple services you’ll be able to subscribe to at the end of the year. And those discounts will be important: just ballparking each Apple service at $10 / month lands you at potentially $600 a year for the privilege of living in Apple World without bundle pricing. One last reason to hold the announcement now is that in order to launch services like Apple TV Plus and the Apple Card, the company needs to begin doing a lot of public marketing, and it wanted to just get everything out in the open first. That’s probably true — even granting that every TV show had already been announced with a press release and the others were so heavily rumored that they were open secrets — but it’s not a great reason to hold an event for consumers. That’s the main thing: everybody has been talking about how important subscription services are to Apple’s business, but I don’t care about how much money Apple makes (beyond it making enough to continue creating good products). Neither should you, unless you’re a major shareholder. Instead, you should care what products Apple is making and what it’s adding to our culture through those products. When it comes to judging these products and their effect on our culture, well, we have to wait for them to ship. It’s easy to say this is griping about having to wait for new products (it is a little of that), but go back to that original question. Why did Apple hold an event this week? Did the company tell you, as a consumer, why you should care about the things it announced? The best answer I can come up with is this: Apple has a huge effect on technology and culture, and Apple is trying to tell a new story about what it is and what it makes. You should care because the story Apple tells us and tells itself has real effects on the products it makes and its effect on culture. So yes, Apple makes subscription services now. But if the whole story is just “Apple can make more money now that iPhone sales have plateaued,” then none of this really matters or changes anything. The idealistic read is that this event was about injecting another idea behind all of those subscriptions: privacy. It’s not an easy thing to build hype for, but it’s important. Is it important enough to grant yet more of your digital life to Apple lock-in? I’m less sure. 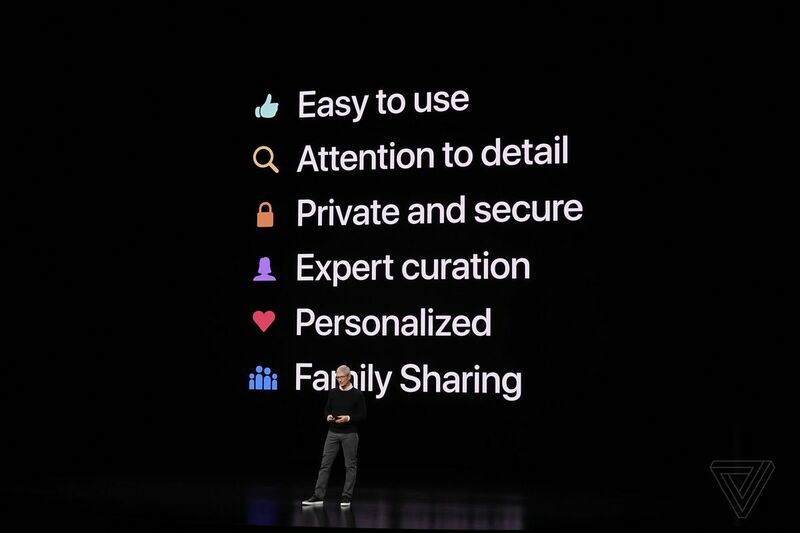 I’m also not sure if the slide above really adds up to a coherent narrative about what kind of company Apple wants to be. 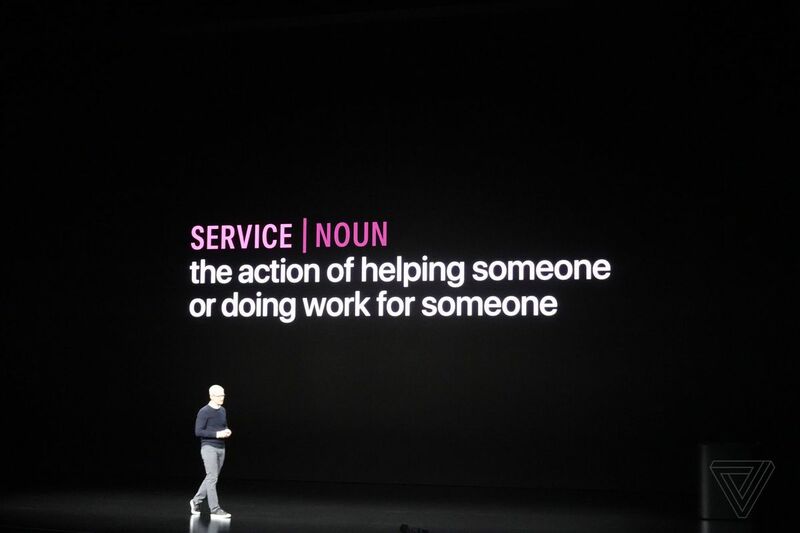 Tim Cook ended the keynote like he often does, by saying “At Apple, the customer is and always will be at the center of everything that we do.” I just didn’t really feel like that philosophy applied to the event itself. In a former life, I was a TA at a university and taught a lot of freshman composition. Whenever a student turned in an essay that led with a dictionary definition of a word, I would audibly groan because I knew I was in for a slog. It is the classic sign of a paper that purports to be deeper and more insightful than it actually is. And it always led to a long edit where I had to put in a lot of effort to help the student clarify their ideas to say something genuinely original, something genuinely different from what has been said or done a thousand times before.